The Match Racing Championships drew to a close this afternoon in San Diego as ORACLE Racing Spithill took two swift wins off of France’s Energy Team to secure first place overall. Artemis Racing then lined up against Emirates Team New Zealand (ETNZ) in the race for third position. Off the start line it was the Kiwis who were out in front with a four second lead at the offset mark. ETNZ then stretched their lead as the teams went round the course in 8-10 knots of shifty breeze on San Diego Bay to take third place overall. “From our perspective ETNZ were OCS at the start, but clearly they weren’t. We felt like we had pushed ETNZ into a hard spot to start the boat yet they got away a little bit better than we did. From there we pushed them fairly hard but it was a bit of a one-way track out of the bottom so we had to follow them around the left gate to mitigate any more loss. We sailed a really good first long beat. We were gaining on them pretty much tack for tack, it was a little bit unfortunate at the end of the beat where we didn’t quite lay the right mark we got the split that we wanted. 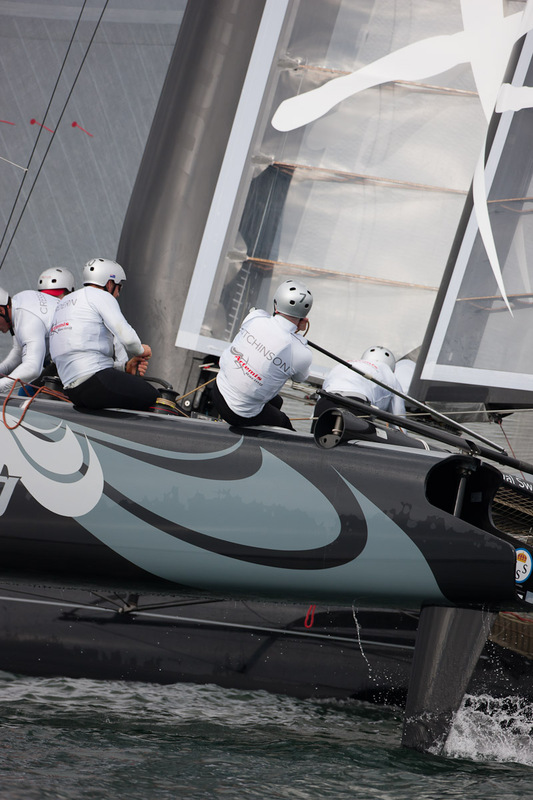 It just didn’t quite go our way today,” said Skipper Terry Hutchinson. 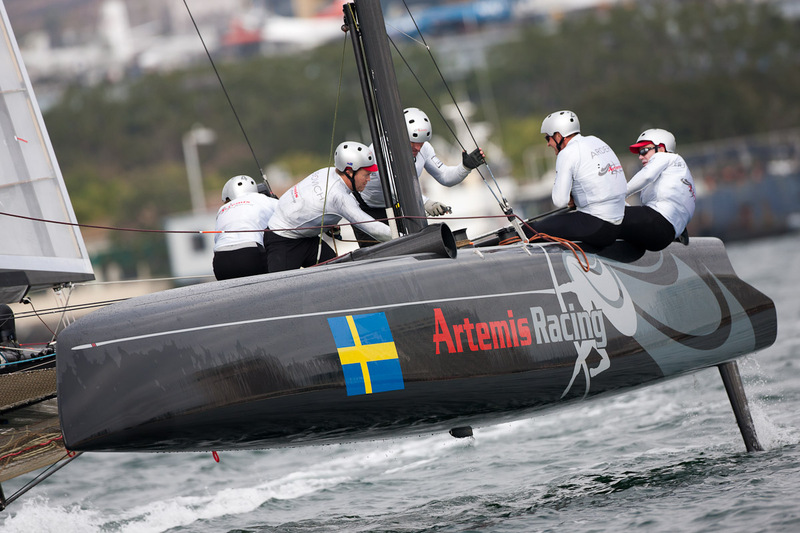 “It was all in the start and there weren’t many passing lanes after that,” added Paul Cayard, CEO of Artemis Racing. Tomorrow is the final day of racing at America’s Cup World Series – San Diego, with two speed trials followed by the all-important Grande Finale fleet race to determine the event’s champion.